How will people buy pot? How people purchase legal cannabis depends on where they live. There is one constant across the country: Online sales are available in all provinces and territories, whether via private retailers or through government-run websites. E-commerce giant Shopify, which will manage online sales for four provinces, is confident its system will be able to handle the volume. But there are distinctions across the county with respect to age limits and retail models. Minimum age limits for purchasing and consuming cannabis vary, but most provinces mirror their rules for alcohol. What's the latest where you live? B.C. Here's what you need to know about legal weed in B.C. In most provinces and all territories, adults are allowed to possess four marijuana plants per household for recreational use. That's the limit the federal government imposed when it passed the Cannabis Act in June. Quebec and Manitoba are the two holdouts. Both fiercely opposed that decision and enacted their own rules banning growing cannabis plants at home — a move some lawyers argue could eventually result in a constitutional challenge. Much of the success of Canada's decision to legalize marijuana will be pegged to the price Canadians end up paying per gram of legal weed. Should legal cannabis turn out to be more expensive than pot on the black market, there may be little incentive for Canadians to quit buying from their current source. A recent McMaster University study suggested that the sweet spot for consumers — the price where they'd buy legal weed instead of turning to the black market — was $10 to $12 a gram. Prices could change, but for now, it looks like retail prices in New Brunswick will range from $8-$16 per gram; between $8.21-$14.55 per gram in the Northwest Territories; between $6-$13 in Newfoundland and Labrador; and prices will start at $8 per gram in Yukon. Ontario's new PC government has been quiet on prices, but said it aims to set them at a rate that would be competitive with illicit dispensaries. In Quebec, a spokesperson for SQDC, the provincial crown corporation responsible for cannabis sales, told CBC News it has yet to announce detailed pricing, adding that a lot of items would retail starting at $7 per gram. Could there be a weed shortage? According to Health Canada, there are currently more than 120 licensed cannabis producers in the country — with many based in Ontario and B.C. Several companies rapidly expanded ahead of legalization, but one of Canada's top cannabis producers recently said labour shortages and supply chain issues may cause "sold out" signs to pop up at pot stores soon after it becomes legal. "I'm concerned about the supply side," business consultant Sarah Stockdale said of pot e-commerce. "The tech that the government has is set up to handle the load on the servers, but are Canadians going to be waiting a really long time to receive their shipments when they're used to Amazon? If they have to wait one to two weeks will they turn to the black market?" Read more about the potential for a legal cannabis shortage. How does legalization work at the border? Despite some changes at the state level, pot possession is still illegal under U.S. federal law. Ahead of legalization, Ottawa warned Canadian travellers that "previous use of cannabis, or any substance prohibited by U.S. federal laws, could mean that you are denied entry to the U.S."
One day ahead of legalization, a U.S. border official noted that nothing had changed in that regard, saying: "If you've been the subject of a violation of U.S. laws, that will still make you inadmissible to our country." What's remains unclear is whether travellers will be questioned more frequently about past cannabis use. There's also going to be some changes for people coming into Canada, CBC's J.P. Tasker reported. An official speaking on background told CBC News that Canada Border Services Agency guards will have to ask every traveller about pot possession. Travellers arriving by air should expect to see a question about cannabis use on declaration forms. Read more about cannabis and the border. What can I take on a plane? People flying within Canada will be able to pack up to 30 grams of cannabis. But travellers should remember they still can't bring weed aboard international flights. Read more about travelling with pot. How could this affect my job? It depends on your field and your employer. Ahead of legalization, many Canadian companies updated cannabis policies — especially companies where employees work in high-risk positions. Read more about how employers' cannabis policies are evolving. Both Air Canada and WestJet have prohibited recreational cannabis use for pilots and those in "safety-sensitive positions." Rules for police officers vary widely across the country: Calgary's police service forbids cannabis consumption outright, while Vancouver's requires officers to self-evaluate whether they are fit for duty. Experts say policies will likely evolve in the months following legalization. How ready are employers for legal weed? What are the rules around driving? Under new legislation passed in June, police can conduct roadside saliva tests of drivers they suspect to be under the influence of drugs. How drivers will be treated depends on how much THC, the primary psychoactive substance in pot, is found in their blood. Drivers with between two and five nanograms in their blood could face a fine of up to $1,000. Drivers with either more than five nanograms, or who were drinking alcohol and consuming cannabis at the same time, could face steeper fines and jail time. People convicted in the most serious cases could face 10 years in prison. 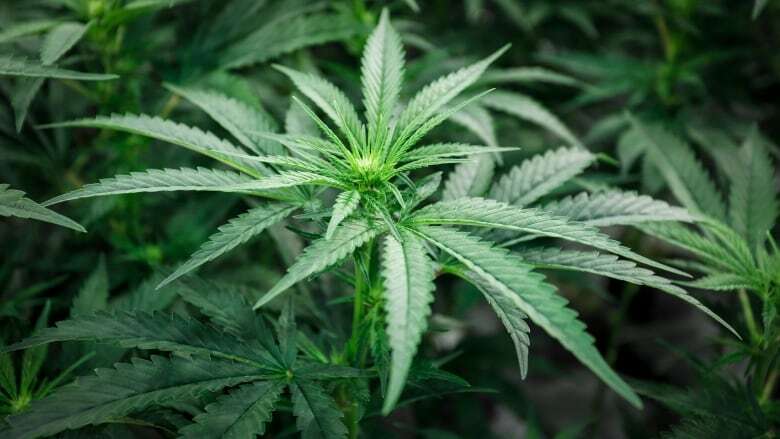 In August, Statistics Canada reported nearly five per cent of Canadians — about 1.4 million people — said they had been a passenger in a vehicle driven by someone who had consumed cannabis within two hours of driving. Read more about cannabis use and driving — and about whether police are ready. The new rules around impaired driving are expected to face legal challenges. What are the health effects of using cannabis? Expect more research around cannabis and health — both in terms of health benefits and potential risks — in the years ahead. For now, campaigns are underway to try and educate people about cannabis and health, particularly groups deemed at risk of dangers linked to cannabis consumption, including pregnant women and children. The federal government has a website outlining the health effects of cannabis use, including both short-term effects (like impairing your ability to drive) and longer-term effects (including potential lung damage). CBC Radio's White Coat, Black Art took a deep dive into issue and asked medical experts to answer your questions about pot. The outreach effort won't stop once pot is legal: Health Canada alone is slated to spend more than $100 million over six years on awareness, public education and surveillance, The Canadian Press reported in September. Read more about the health effects related to cannabis.